Biscuit International has added Spain to its roster of European markets through the acquisition of Spanish peer Arluy. For an undisclosed sum, Biscuit International has bought what it said is the fifth-largest producer and distributor of sweet biscuits in Spain. The move for Arluy sees Biscuit International add to operations, built through M&A, in France, the Netherlands, Germany and the UK. Giampaolo Schiratti, Biscuit International's CEO, said Spain's sweet biscuit market "represents a real growth opportunity". Schiratti added: "Arluy has strong experience in the production and distribution of sweet biscuits in Spain, and the company is an excellent complement to our group in terms of geography and product lines. This acquisition strengthens Biscuit International's position as one of Europe's leading producers of private label sweet biscuits in Europe and develops our partnership with our main European and Spanish customers." Family-owned Arluy, set up in 1988, is based in the Rioja region in northern Spain. The company generated a turnover of "more than" EUR40m (US$46.7m) in 2017 and "has experienced strong growth in recent years", a statement announcing the acquisition said. Arluy supplies own-brand biscuits and private-label biscuits to its customers. management of the business", the statement said. Guillermo Flores, the former CEO of United Coffee, will assume the role of managing director of Arluy. San Juan will "reinvest in the capital" of Biscuit International, the statement added. He said the sale of Biscuit International was "great news for Arluy", adding: "It will allow our family business to grow in Europe where we see significant growth opportunities in the sweet biscuit sector. 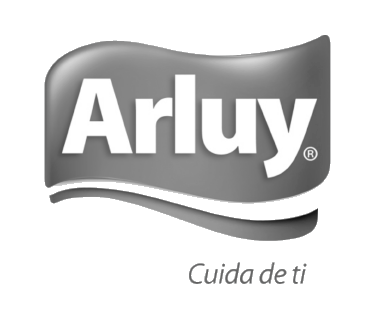 Biscuit International is a major player in its market, and I am convinced that its project for Arluy will also strengthen our position in Spain by developing partnerships with our main customers." Biscuit International, owned by French private-equity firm Qualium Investissement, has assets including France's Groupe Poult, Dutch biscuit maker Banketgroep, A&W Feinbackwaren in Germany and UK supplier Northumbrian Fine Foods. The group's last acquisition was that of Northumbrian Fine Foods in May. Biscuit International says it generated pro-forma sales of EUR390m over the last 12 months, of which approximately 60% was outside France.